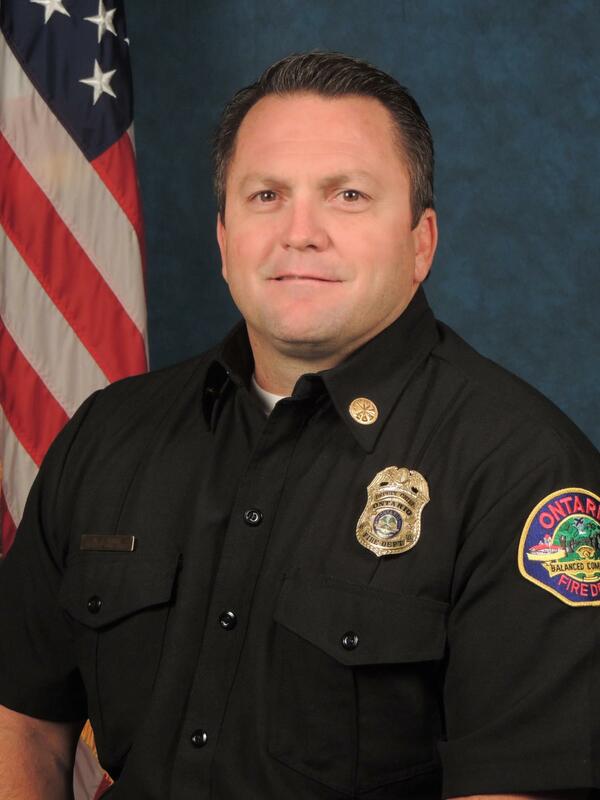 Fire Chief Ray Gayk has lived in the Inland Empire almost his entire life, graduating from Norte Dame High School in Riverside. He attended several community colleges and received his Bachelor of Science Degree in occupational studies from Cal State Long Beach. He attended Daniel Freeman Paramedic School and began working as a Paramedic for Goodhew Ambulance. He began his professional fire service career with Riverside County Fire Department, later lateraling to Redlands Fire Department. He was hired by Ontario Fire Department in June of 1997. During his 25 years in the fire service, Chief Gayk has served in numerous roles including: Firefighter/Paramedic, FEMA Task Force 6 Member, SWAT Medic, Background Investigator, Captain, Training Officer, Public Information Officer, Battalion Chief and most recently served as the Deputy Fire Chief assigned to the Operations Bureau.